Small Businesses face many struggles in getting additional financing, attracting new donors and bringing attention to their causes. It’s become challenging to stand out from the crowd and build new relationships with people, who are able to keep supporting your Project. Nowadays, some people say they pledge a donatation in order to make an impact in somebody’s life. They need to make sure that their hard-earned money supports the right cause. Therefore, they would like to see change as a result of their contribution, build a relationship with the cause they are supporting, or connect with people they are helping out. Others are motivated by personal recognition. It can be just an emotional need to be publicly acknowledged or get a symbolic tangible item in return. Sometimes, it feels great to have something that reminds you of your involvement with a good cause. 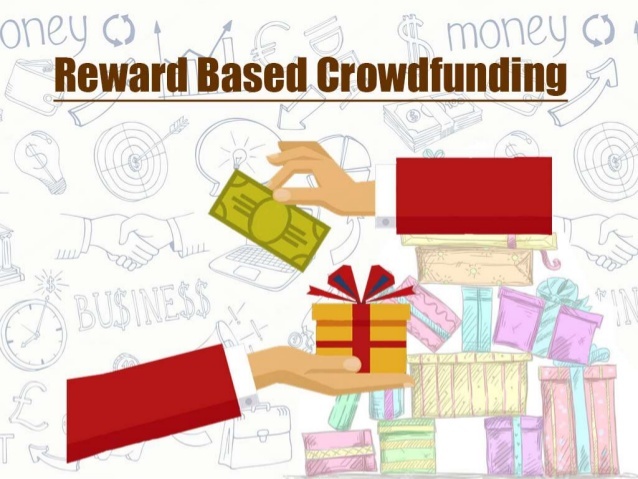 One of the great ways for Small Business to engage with donors, involve them in fundraising news, spread the word about needs and thank their supporters is by using a reward-based crowdfunding platform. These are five effective ways your nonprofit could show its gratitude and appreciation by providing rewards in exchange of donations. Making a wish list of things that your Small Business needs to accomplish its goals, projects and mission is important. But the most crucial thing is to give this list visibility on the social networks of your contributors. However, a crowdfunding platform with deep social media integration will allow you to get visibility, engagement and reach more people. Creating a story for rewards will describe how each wish item can help your cause and make a difference in someone’s life. Sharing technology and images for rewards will help other people notice, interact with wish items on social networks and support your Small Business. Your supporters might want to see a difference made by their contribution and a result achieved by your nonprofit. Explain how much money is needed for a specific action using your rewards. Remember, campaigns that raise funds for regular expenses and general needs usually don’t work on crowdfunding platforms, because people don’t see a measurable outcome. There are always some donors out there who would love to connect with people they are helping out and be personally involved in projects and causes. Invites to your organization, volunteer programs, communications with children or people your Small Business is supporting can be great reward ideas for your fundraising campaign. It’s really important to build relationships with supporters that can last for a while. Therefore, you might want to make sure you are providing contributors with different ways of communication and involvement. Often Small Businesses underestimate the value of personal gifts. Plenty of things could be done to show appreciation to donors. It’s always the thought about your supporters that counts, not the cost. Think about both online and offline thank-you gifts. Social media shout-outs, including your supporters in a thank-you video, personal letters and postcards can be great perks to offer your donors. Your donors will be surprised and pleased to get so much attention. Make them feel special! The simplest of free goodies, such as mugs, calendars, t-shirts, stickers and books can be great rewards for your donors and a perfect reminder about your organization and cause. Offering branded goods can work even better to raise the brand awareness and get more attention to your mission. People donate because they believe in your cause and want to make a difference. Reward-based crowdfunding can help show your gratitude and appreciation in a variety of ways.